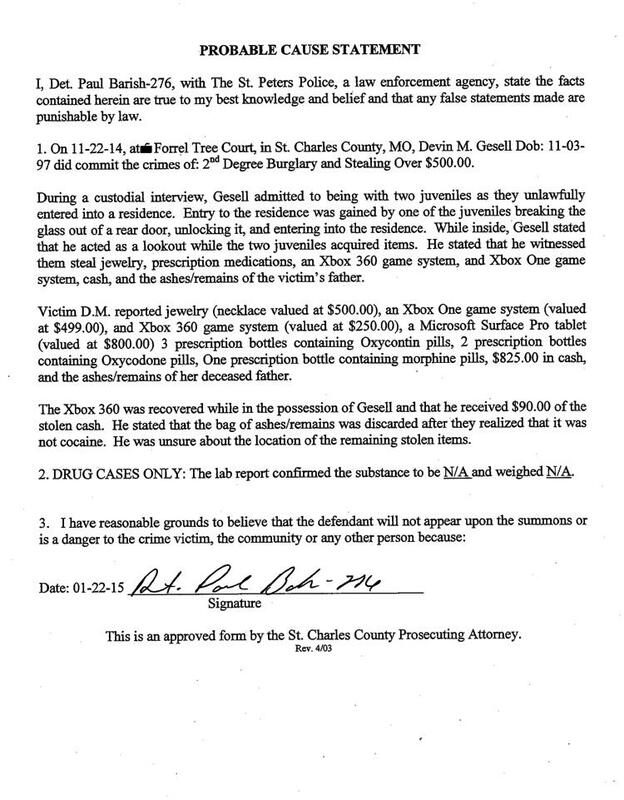 MARCH 9--A trio of teenage burglars who stole cash, jewelry, electronics, and prescription drugs from a Missouri residence also thought they got away with a stash of cocaine they found in a wooden box, only to later discover that the powder was actually the cremated remains of the homeowner’s father, police report. Upon determining that they were not, in fact, in possession of cocaine, the teens discarded the remains out the window of their getaway car. One of the burglars actually tasted the powder and realized it was not a controlled substance. 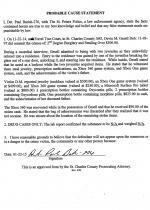 Details of the November 22 burglary of the residence in St. Peters are contained in a probable cause statement that was drafted in connection with the filing last week of multiple felony charges against Devin Gesell, 17. Gesell’s two accomplices, ages 15 and 16, are being tried as juveniles. According to investigators, Gesell (pictured above) confessed to the burglary, saying he served as lookout while the other minors broke into the residence and took $825 in cash and items the homeowner valued at more than $2000. The trio also swiped “the ashes/remains of the victim’s father,” cops noted. 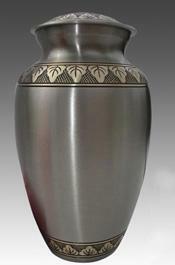 Gesell and his cohorts are not the first teenage perps to mistake someone’s ashes for narcotics.